This is not just an election year for Liberia – only the second democratic election since the 14-year civil war. Can we improve the quality of crowd-sourced data by adding context? We think it’s a good place to start, this infographic explains how the SwiftRiver platform is being constructed to improve the data collection mechanisms in all Ushahidi’s family of products. 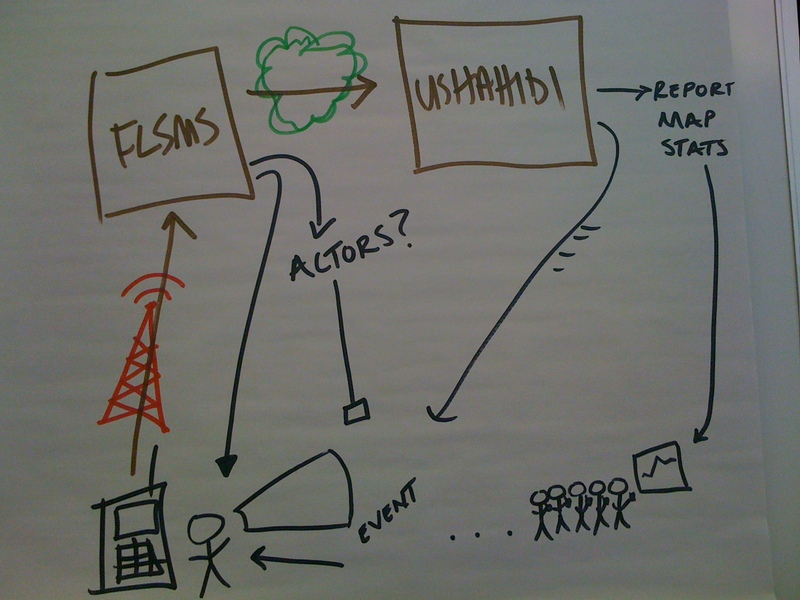 Being part of Ushahidi has given us a front row seat to what I like to term the “InfoWars“. A time when it seems like the fourth and fifth estates are pitted against the other three. Although acoustic gunshot detectors, licence plates scanners, surveillance cameras maneuvered from in-car computers, and SMS update trending are impressive crime fighting tech tools, experts like the DC Police Chief Cathy Lanier stress that new tech alone is not enough--community involvement is necessary too. We are saddened by news of the floods in Thailand over the weekend, which have already taken 70 lives (that we know of so far). Any social entrepreneur who has ever pitched an idea to a donor, or explained a service to a beneficiary knows the importance of good salesmanship: a great story, narrative, catchy graphic design materials, in short, an artistic representation of a concept.